Retaining wall has many function on garden, such as it’s for separating between one area and other area, especially if these area are on different height position. This retaining wall is for preventing this soil to not avalanche. 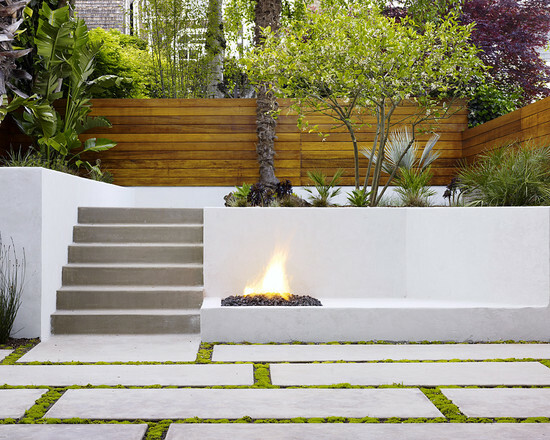 Besides that, a retaining wall can also increase garden beauty. A retaining wall can be made from wood, brick, stone or rock and concrete. 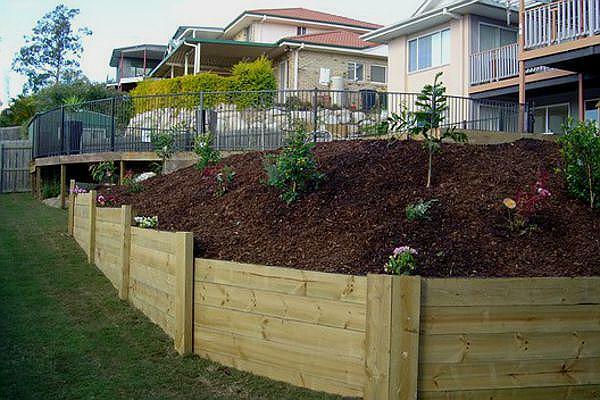 From these materials, wooden retaining walls are popular type. To form retaining wall from wood is not difficult. People with basic carpenter skill can do it. Three wood types commonly are used to make wooden retaining walls. They are timber, railroad ties and standard wood. Timber is board that usually found in building framing. This wood is often used on building. We can buy this wood in rough or smooth type. It doesn’t matter if we build retaining wall from rough timber. But, smooth timber is more aesthetic. This smooth timber is usually coated by layer to make this wood more durable. Timber can be made from cedar or pine. It’s soft wood category. The next wood is railroad ties. This is strongest wood for building wooden retaining walls. This wood is old wood and used for train railroad foundation. As the main function for train railroad foundation, we can believe that this wood is selected from high quality wood. This wood has thick thicker than other wood type such as timber or standard wood. Building wooden retaining walls from this wood make our garden is looked antique and unique. This wood is also good for building stair on garden. The last type is standard wood. As its name, this is common wood. This wood can come from teak, oak, walnut, cedar, pine, and so on. If we want strength, choose hardwood type. Cedar and pine are softwood. They are less strength. From all above woods, if we look for strength, railroad ties is strongest. But if we look for both strength and aesthetic consideration, standard wood is good choice, as long as this standard wood is chosen from hardwood. 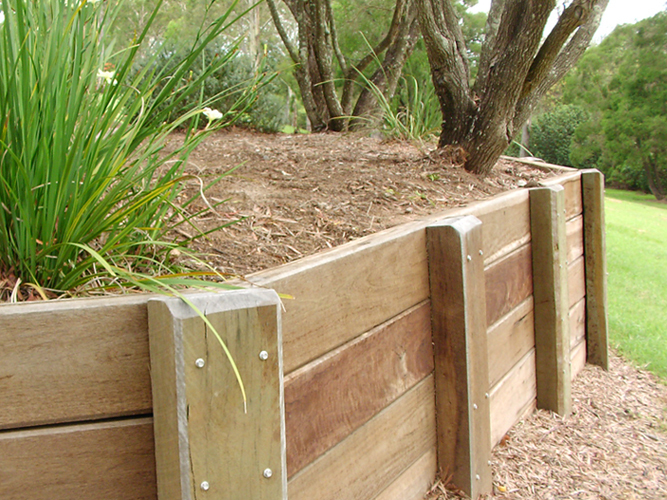 Need more great design ideas on 3 Wood Types For Building Wooden Retaining Walls? See our full gallery!